It is a very nice and charming that you can use as an art piece and hang on the wall or on the floor. 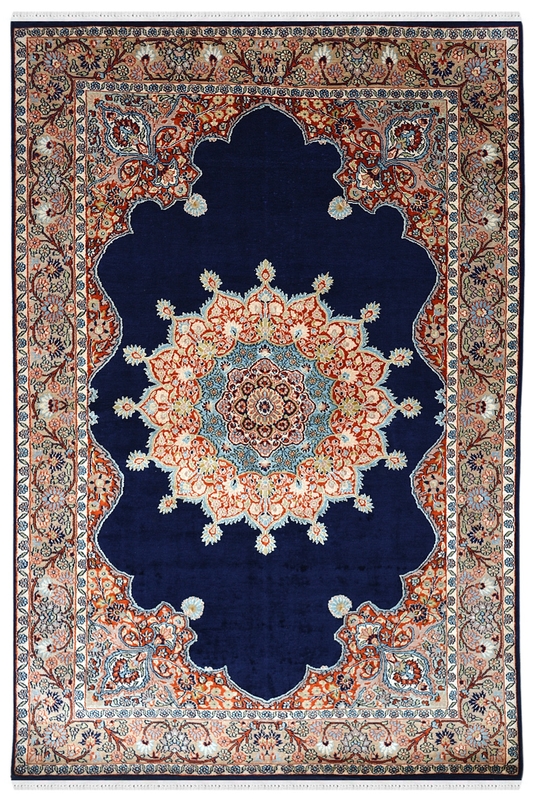 It contains a decorative circular design in center which is the main eye-catching point of this carpet. Kashmir silk carpets are surrounded by hand in India and are based on traditional Persian rugs. In this carpet, the Oriental patterns take place and repetitive patterns, but with the typical garden motifs. This carpet contains pure silk material which is thin and light with a beautiful bright glow. By using silk, detailed patterns are also possible, and accuracy is effective in the back work of the carpet.